Dhawan is gearing up for the T20I series against Australia. Indian opener Shikhar Dhawan feels the bunch of good matured players in the squad as the reason for the team to be at the top in Tests and ODIs currently. He missed the ODI series against Australia as his wife who was facing health problems needed him. The left-hander is now ready to return to international cricket with the 3-match T20I series against the Aussies. The swashbuckling opener also shared his comeback journey to the Indian side after being axed. Dhawan has been in great form in the recent past and he also won the Man of the series award in the Test series against Sri Lanka. He was also the highest run-getter in ICC Champions Trophy which was held in England in June. On the back of some consistent performances, the Virat Kohli led side is enjoying their numero uno status in the Tests as well as One-Day Internationals. However, the southpaw believes that the maturity and confidence shown by the players is the reason they’re doing well. “The reason we are No.1 is because we have got good matured players in the side and the youngsters also are very confident. I believe sharing the dressing room with established players in the IPL has helped them gain confidence,” he said in an exclusive chat to NDTV. “The bench strength is also the reason that the Indian team is so good now. We have a very healthy competition in the side. Every player knows if he doesn’t perform there is other batsman who is as good as him, so that’s a very good sign and that keeps everyone on their toes. And I think our domestic structure is so good that we are producing such good players,” the 31-year-old added. The left-hander was dropped from the side across formats following his poor form last year. He explained that he trained hard after that and became fit in order to regain the top slot in the team. “It was a hard time for me because I was giving my best but things were not going my way. When I was dropped from the Test and T20 team, of course I felt bad but I knew that I hadn’t performed that well that’s why I got dropped. “But, I kept my process going. I increased my training and skill work and made myself more fit. During that time also, I wanted to be happy and enjoyed playing Ranji Trophy for Delhi. 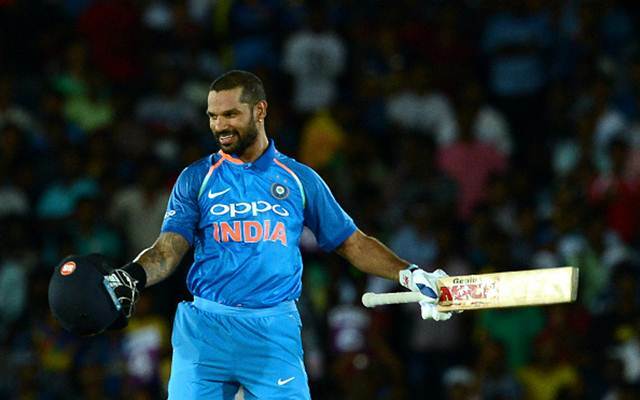 By the grace of God, things fell back in place again and I got a call for the Champions Trophy after some good domestic performances in Deodhar trophy and the Indian Premier League,” Dhawan concluded. Why did Virat Kohli and Rohit run towards the same end?